Walmart is serving four million cups of complimentary coffee (courtesy of Keurig) and a few million free Christmas cookies from the Walmart Bakery. Walmart will make it easier for shoppers to find top deals in-store via the Walmart app. 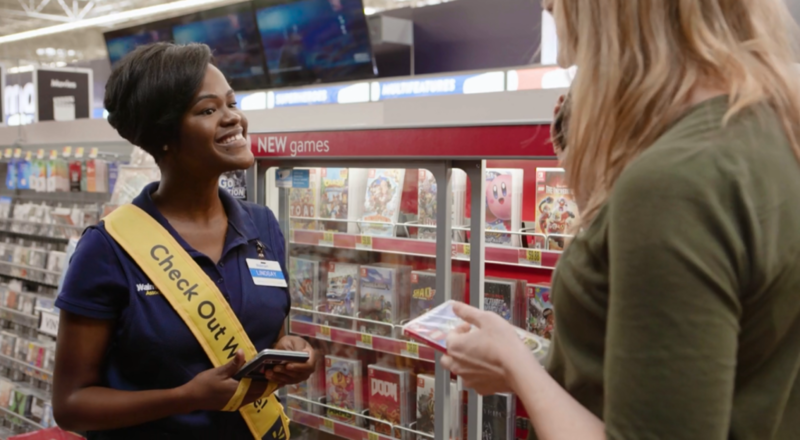 Check Out with Me store associates stationed throughout the stores and equipped with mobile check-out devices will make it possible for shoppers to purchase items on the spot, thus avoiding long lines. Black Friday shoppers actually want to have a good time. They treat it like a social event – a chance to get together with family and friends to experience a ritual together. Retailers have failed to capitalize on the social, even convivial attitude of the Black Friday shopper. Think about it: a retailer has a long line of shoppers standing outside their door with not much to do. The possibilities for turning that line into a branded experience are limitless. Back in 2008, I suggested retailers offer treats, pop-up contests, and other amenities to people standing in line – and then, provide “Black Friday lounges” in stores to offer shoppers more breakfast treats, perhaps door prizes, and soothing music (like the piano lounge at Nordstrom). I suggested that making Black Friday a more civilized experience might cut down on some of the notorious incidents of fighting and vandalism that have marred many Black Fridays (especially at Walmart). A cross-branding opportunity for Keurig, whose products are available in Walmart. A cross-sell for Walmart’s bakery. If the cookies are a hit, shoppers have another reason to return to Walmart after Black Friday is done. Walmart’s “Ultimate Black Friday Store Event” comes at a time when retailers are trying to figure out how to create more interesting in-store experiences in order to fight Amazon by maximizing the value of their physical spaces. There is a great deal at stake: in 2018, the holiday shopping season is expected generate $1 trillion in sales for the first time, according to eMarketer. And after the holidays, the threat of Amazon will remain. In my experience, Black Friday shoppers act the way they are treated. Provide a dehumanizing experience, and fistfights break out. But shoppers will also respond favorably to a pleasant and well-managed event. I predict Walmart’s improvements will boost sales, especially with more associates receiving special training to manage the day more effectively. Now let’s see if more retailers rise to the occasion. This entry was posted in Retail and tagged Amazon, Best Buy, Black Friday, David Deal, Holiday shopping, Holidays, retail, Superhype, Target, Walmart. Bookmark the permalink.